I can't begin to tell you the upgrades in this home! From the floor to the ceiling, its a 10!!! Upgrades you would love to have but would pay much more for if you were to build a new home! 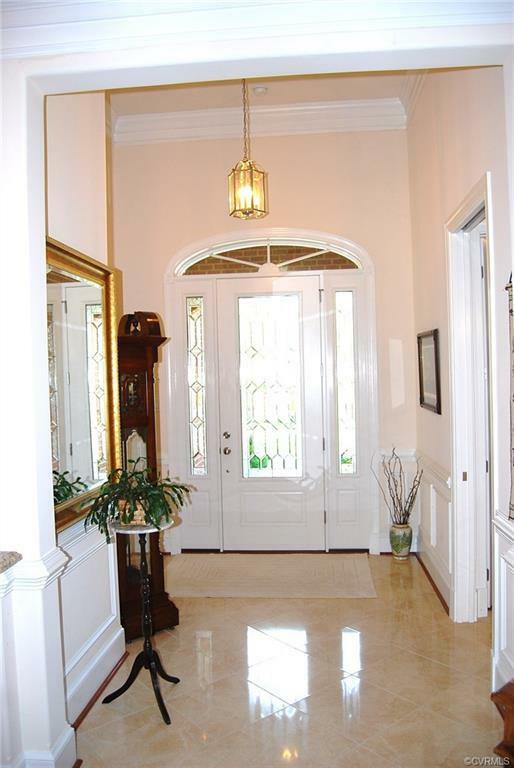 Beautiful ceramic foyer leading to wood floors throughout the rest of the home other than premium ceramic in all baths and the kitchen. The kitchen has custom cabinets with granite counters, easy close drawers and pull out shelving in the lower cabinets, an awesome pull out pantry that cost over 2k & ceramic backsplash with under counter lights. There's also an elevated dishwasher for easy loading and unloading. 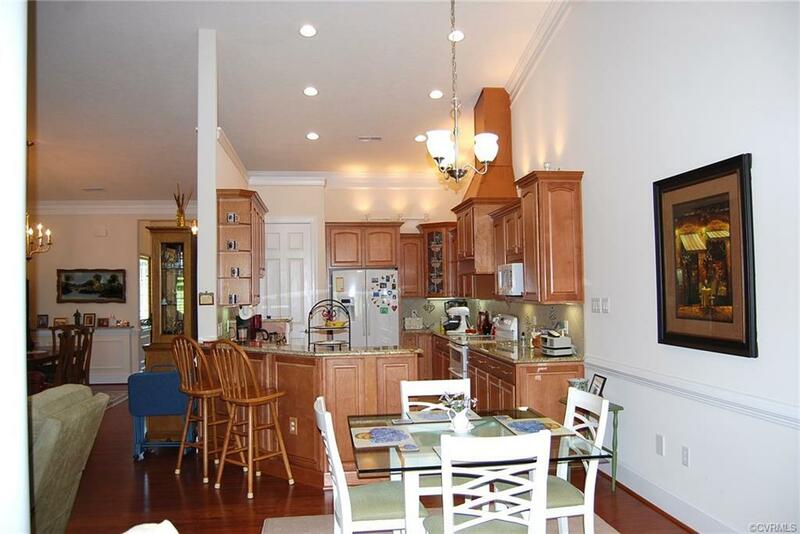 The vaulted ceilings, 10' ceilings, 8' doors, crown molding, chair rail & wainscot is something you don't see every day! How about your own personal make up area right next to your master bath with granite counters and dual sinks, elevated/elongated toilet and a floor to ceiling roll in ceramic shower! Gas line ran for the grill on the patio & central vac. 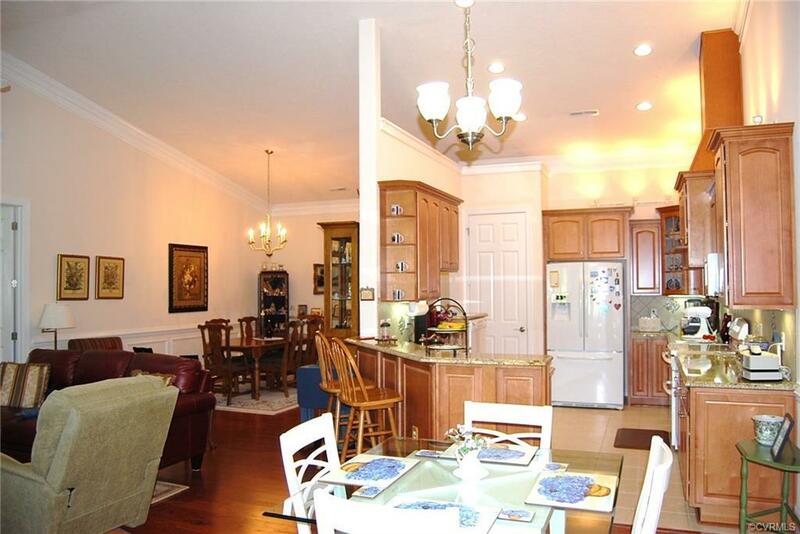 Shopping and fine dining is close by in Williamsburg or Richmond. There are multiple golf courses and winery's close by as well as great rivers to fish or ski in. 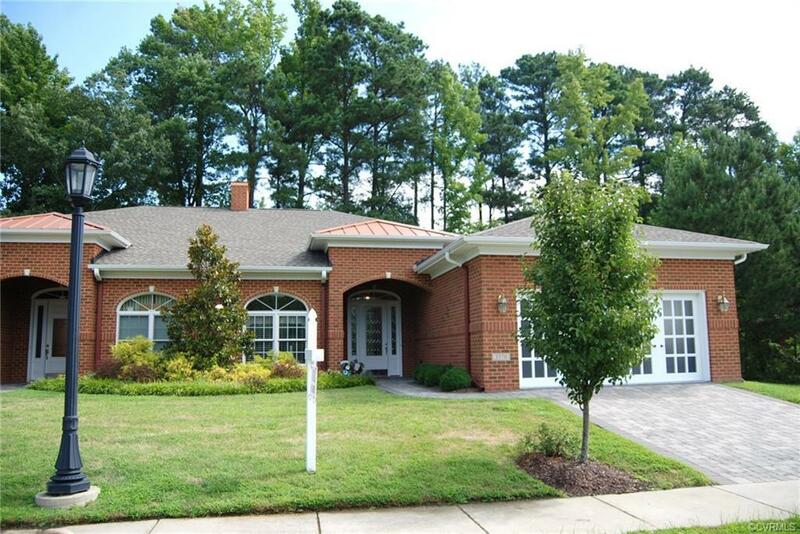 Call your agent today to see this quality built home today! Additional Fee Description One Time Capitalization Fee Of $450.